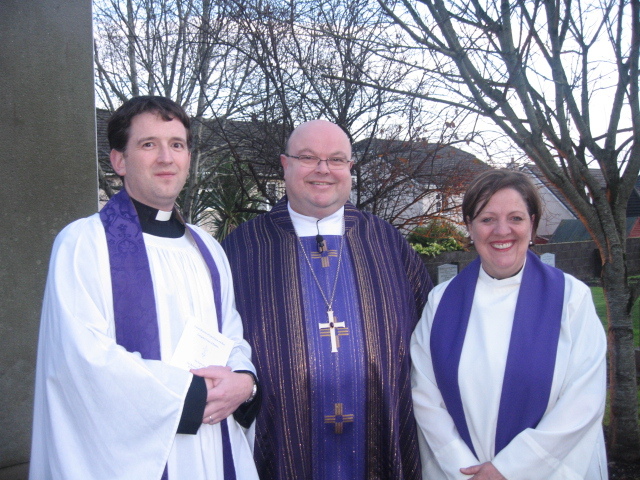 The Rev'd Elaine Murray with the Dean of Residence and Chaplain at Trinity College, the Rev'd Darren McCallig and the Bishop on the occasion of her institution as the Incumbent of Carrigaline Union. This entry was posted in Bishop, Diocese, Installations, Parish News. Bookmark the permalink.